I'll never forget the Sunday morning that Lauren called me to tell me she was pregnant. I knew she was supposed to take a test that morning, so I waited with anticipation, clutching my phone in my hand all morning. We had been suspicious for a few weeks, but it had been too early for her to take a test. As soon as the phone rang, I answered and knew from the moment I heard her voice that good news was soon to follow. This mama of two boys was soon going to be mama to a baby girl. 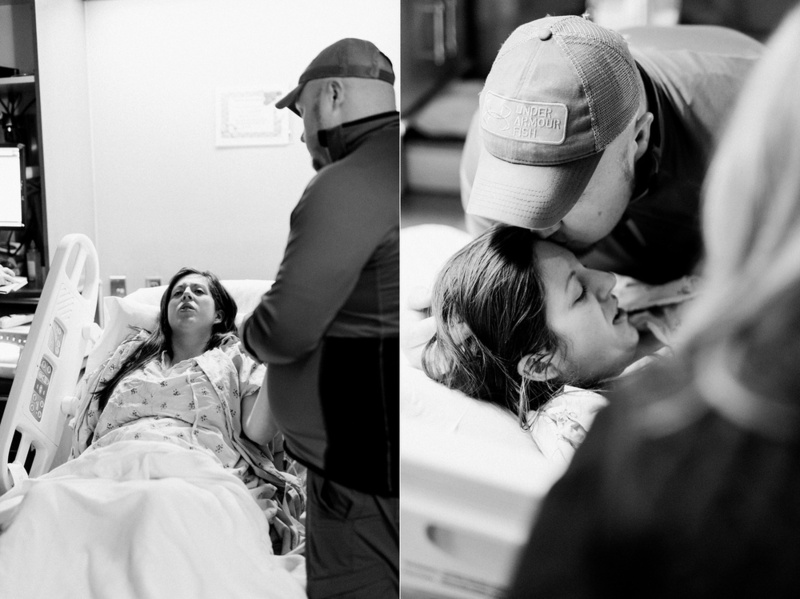 During the final weeks leading up to Mallie's birth, Lauren was the epitome of grace and strength. I'm not sure I ever heard her complain! We were expecting her to deliver past her due date since both of the boys were late. 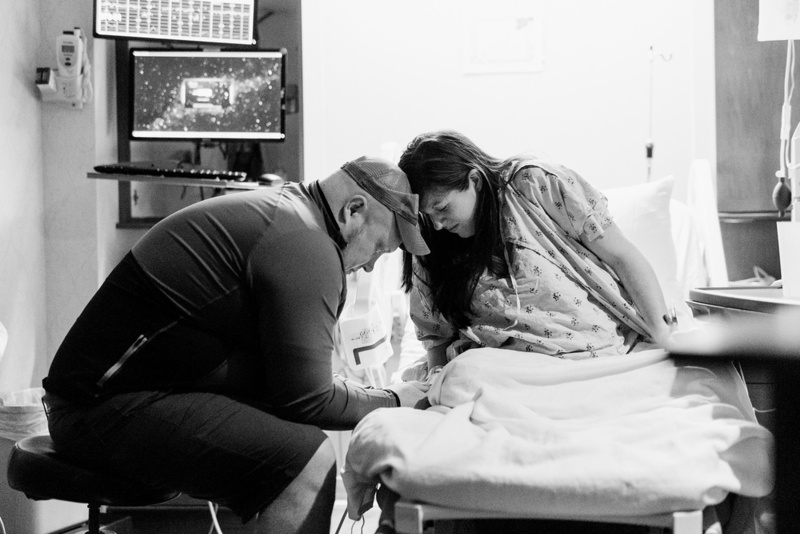 We were also expecting her labor and delivery to be quick, since she almost delivered their youngest son in the CAR on the way to the hospital!! I made sure to stay in close contact with her throughout doctor's appointments and any early signs of labor. I got the call on a Monday evening. 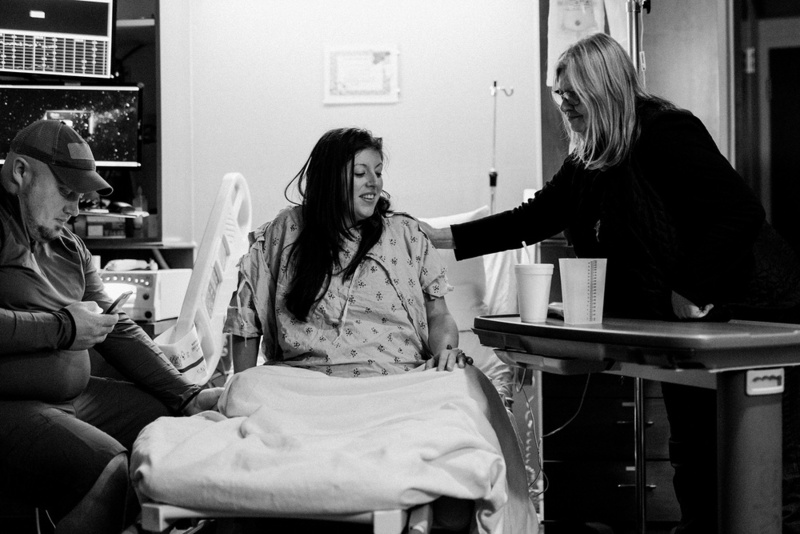 I was getting ready to settle in for the night when Lauren called to let me know she was tracking her contractions. She told me they had been consistent for about an hour at 15 minutes apart. I grabbed my go-bag and made my way to their house. 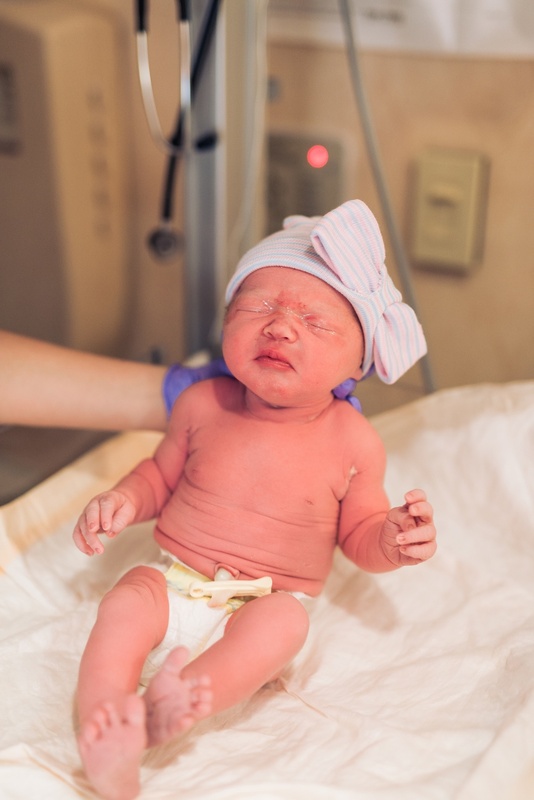 At 2:00 AM, she woke us up and said it was time to head to the hospital, which was perfect timing because once we got to there, her labor progressed quickly. Mallie took her first breath at 4:56 AM. Lauren labored beautifully and Adam was a huge support for her. 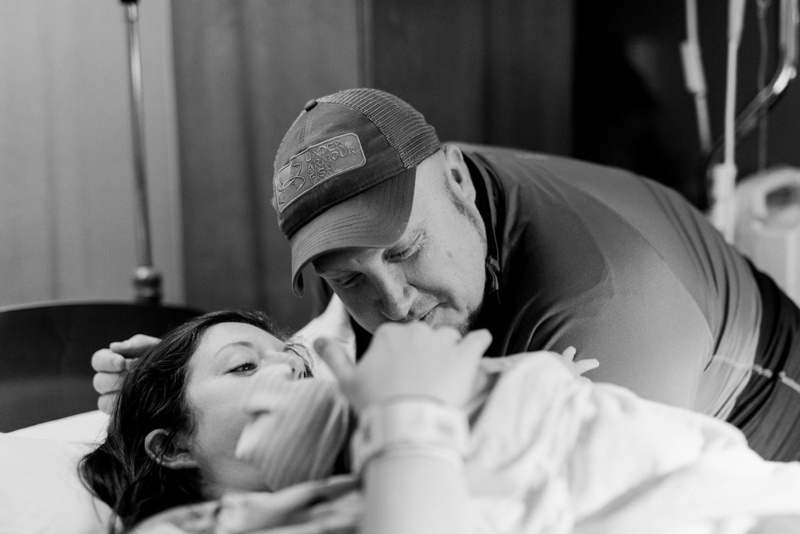 Watching couples work as a team during labor and delivery is such a wonderful privilege. Adam & Lauren, thank you for inviting me to share in this experience with you. 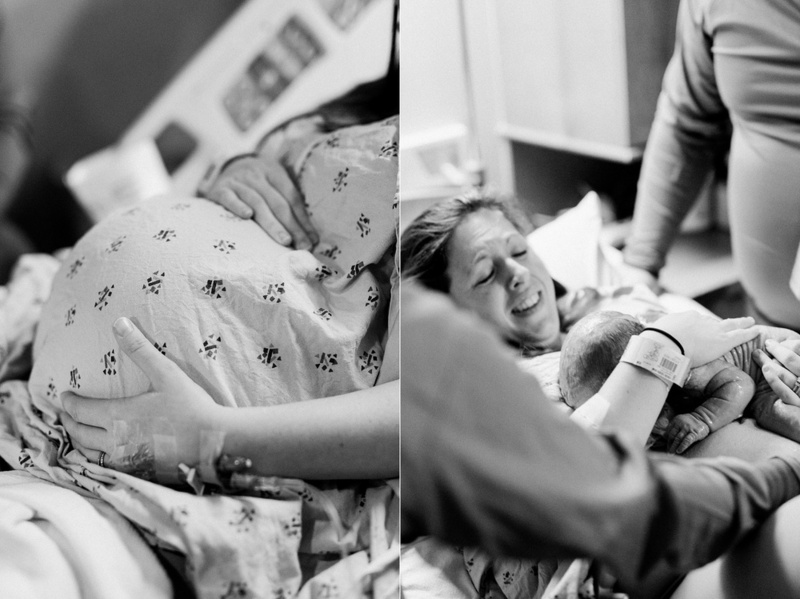 My heart is so full of thanks when I look at these images! 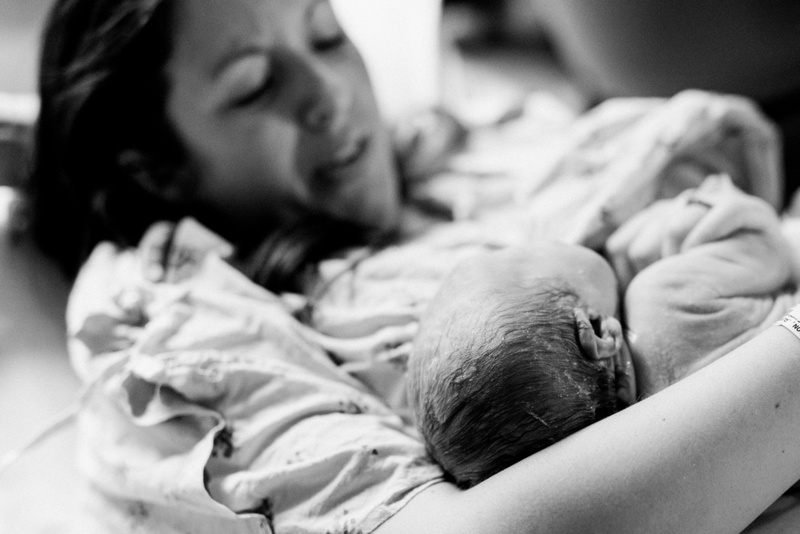 Maggie Trice is a fine art film photographer located in Atlanta, GA and specializes in birth, maternity, newborn, and family photography.